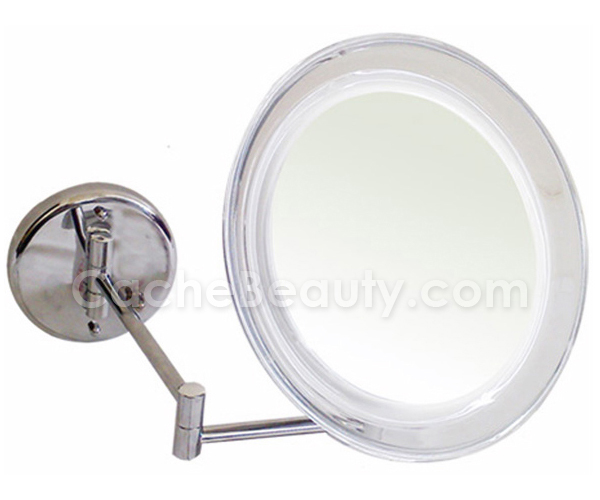 Rucci Professional 10x magnification plug In Chrome Wall Mounted Extendable Mirror to give an extra leverage and free will adjustment for your viewing pleasure. Perfect for grooming and make-up application and everyday use. 9" diameter x 15" length. Powerful 10x magnification for applying make-up and tweezing eyebrows perfectly.